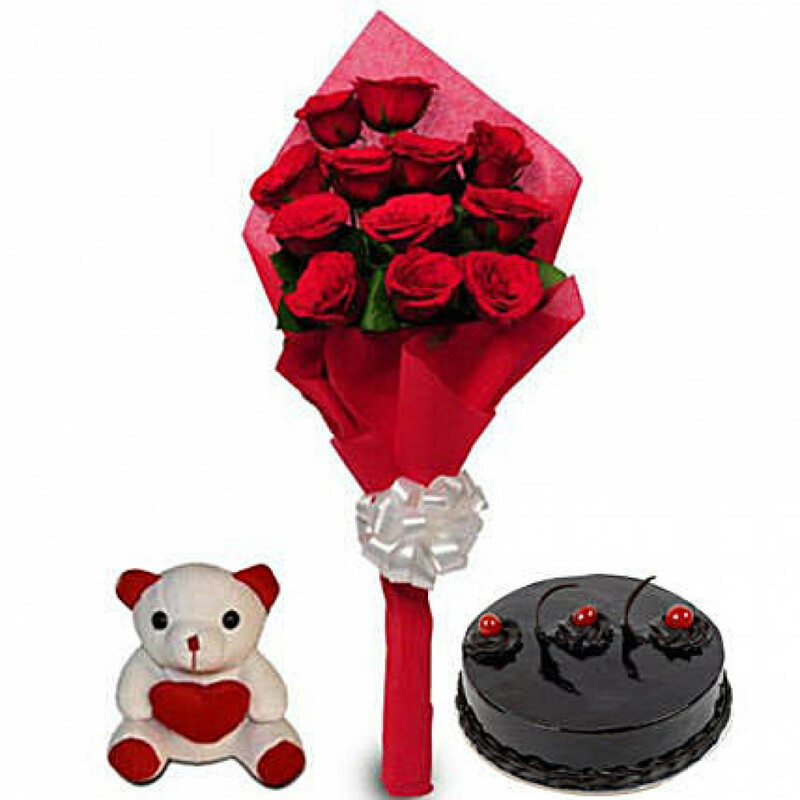 Your love will definitely love this gift of 12 long-stemmed red roses which are stunningly wrapped in a red coloured packing paper with white ribbon bow. You also get a very cute 6 inches teddy bear and a finger luscious 500 gms chocolate truffle cake. This present would turn an ordinary day to a special one that they won't be able to forget for rest of their life.